Blueberry plants produce tasty fruits and provide an attractive feature in your garden or landscape. Instead of attempting to plant blueberries from seed, consider starting your blueberry crop from cuttings of a mature, healthy blueberry bush. This is the most common method of blueberry propagation, because it holds the highest potential for success. 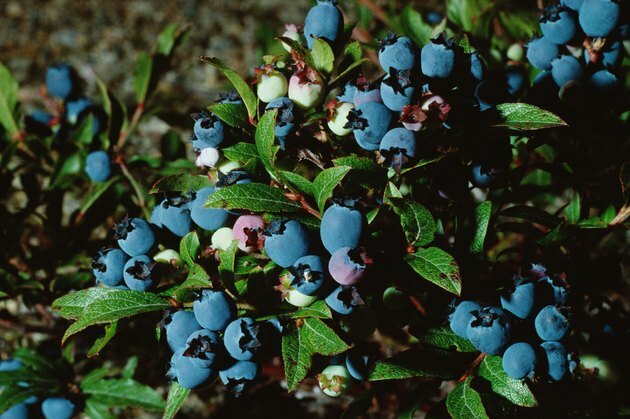 Cuttings from full-grown blueberry bushes will grow into new, healthy plants. In the spring, take 3 to 6 inches of cuttings. The cuttings should be from the tips of the stems. A small pair of garden scissors will work nicely. Pull off the bottom leaves from the stem, leaving only the top pair of leaves. In a pot, combine a mix of half peat moss and half sand. Combine the peat moss and sand thoroughly. Place the cutting into the peat-sand mix, allowing only the top one-third of the cutting to stick out of the soil. Water the cuttings slightly. The soil should be kept moist, but not overly wet. Keep in a high humidity area. The cuttings should root in a few weeks. Once the new rooted cuttings have matured a bit, place them in a larger pot. They can be moved to the garden the following year.